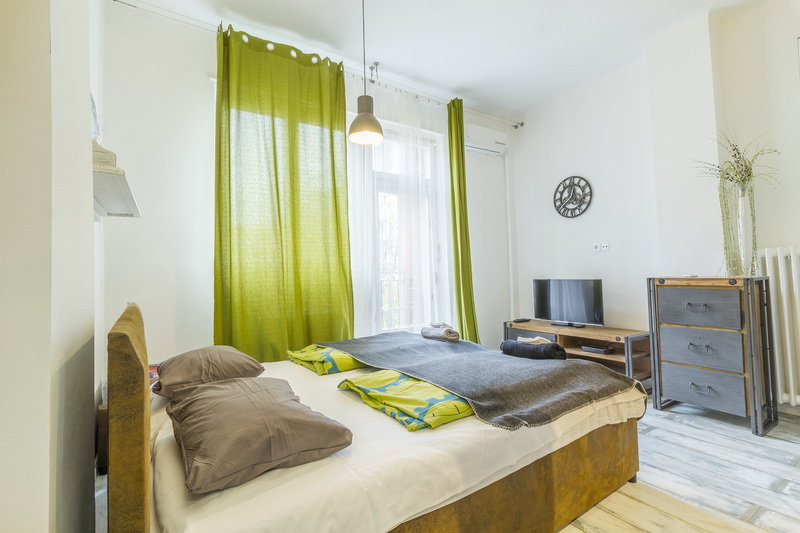 A newly refurbished studio apartment in the heart of the city centre of Budapest, on the famous Rákóczi Avenue. Walking distance to basically everything: bars, shops, restaurants. Only footsteps to the Great Synagogue and the old Jewish district. This is a great place in a great city with plenty of attractions and fun. The party sites are within short walking distance. You don’t have to think about which public transport to take at night – even after a few beers – you simply walk home. Don’t need to leave the party early to catch the last bus, don’t even need to pay for taxi – you live only a few minutes away. It’s worth more than anything, isn’t it? Check out Lemon apartment in my listing, this flat is at the next door for 6 people so Ginger&Lemon are perfect for bigger families and companies of friends! Just across the street is the famous Jewish district of Budapest, which is the cultural centre of the city.